Are you pondering what you will do with your life after senior high? Do you want to pursue higher education and get a degree in a healthcare job but couldn’t decide which profession to choose from? This is not a surprise to most of us. Nursing has remained one of the most demanded jobs in the US whether you are in the healthcare sector or not. Institutions like schools and offices need a registered nurse who can tend to their employee’s or client’s needs. And this is not only limited to new job openings due to various institutions and business offices sprouting every single year. Vacant positions will also be open due to retiring nurses. Home health aides or personal care assistants will also be highly demanded 5 years from now. This is because a generation of baby boomers is aging. They will be leaving the workforce and retiring. This means that they will eventually need care. But instead of going to nursing institutions or assisted living facilities, these older individuals want to retire in their own home. Home health aides give these older adults the professional healthcare they need without leaving their houses. They do not only provide medical services such as administering medicines and checking vital signs. They also help their patients with daily everyday tasks. 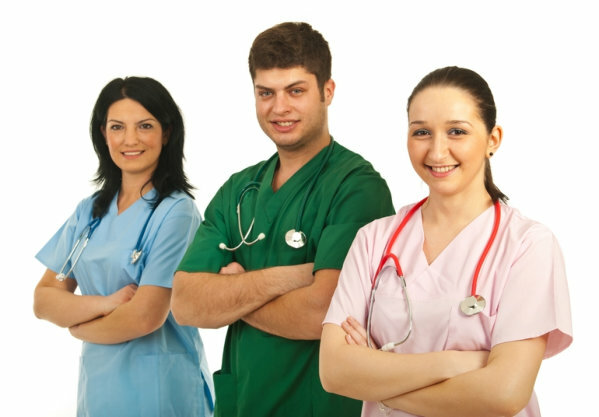 Medical assistants are like nurses but they perform different services. These assistants typically work under the guidance of registered nurses. They are the ones who record the patient’s vital signs and take the patient’s medical histories. The duties of these assistants vary depending on the field or location of their work. Some may work in physician’s offices, hospitals, as well as other healthcare facilities. They are mostly giving administrative and clinical tasks to help healthcare professionals in their duties and responsibilities. Physicians are capable of diagnosing and treating illnesses. These professionals continue to be in high demand due to the nature of their work. The medical field continues to rely on them for diagnosis, prescriptions, along with other medical services. The healthcare industry is one of the fastest growing industries we are seeing today. With recent technological advancements and continuous medical research, many seek to enjoy the services of various healthcare professionals. Are you looking for a job opportunity in any of the mentioned field? Do you want to develop your skills in the healthcare field? Then head over to ATC Healthcare Services for assistance and help. This entry was posted in Healthcare Jobs and tagged 1.Registered nurse, 2.Home health aides, 3.Medical assistants, Physicians, senior high. Bookmark the permalink.